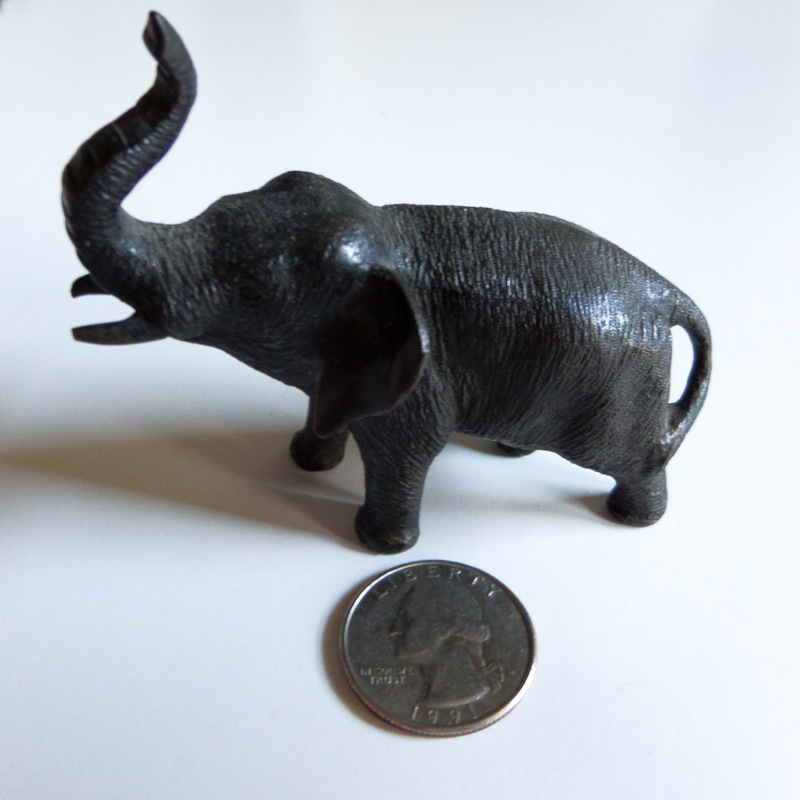 Subject:Tiny Bronze Elephant Okimono - Mark ID or Date? I'm hoping to find ID on the mark shown on the foot of this tiny okimono. He is small, just about 2.75" tall. I haven't foundan exact match for size and physical detail, and similars I found had no mark. I'm looking for some idea of the date it was made. I expect it was part of a tableau. Hi again and Thanks so much! 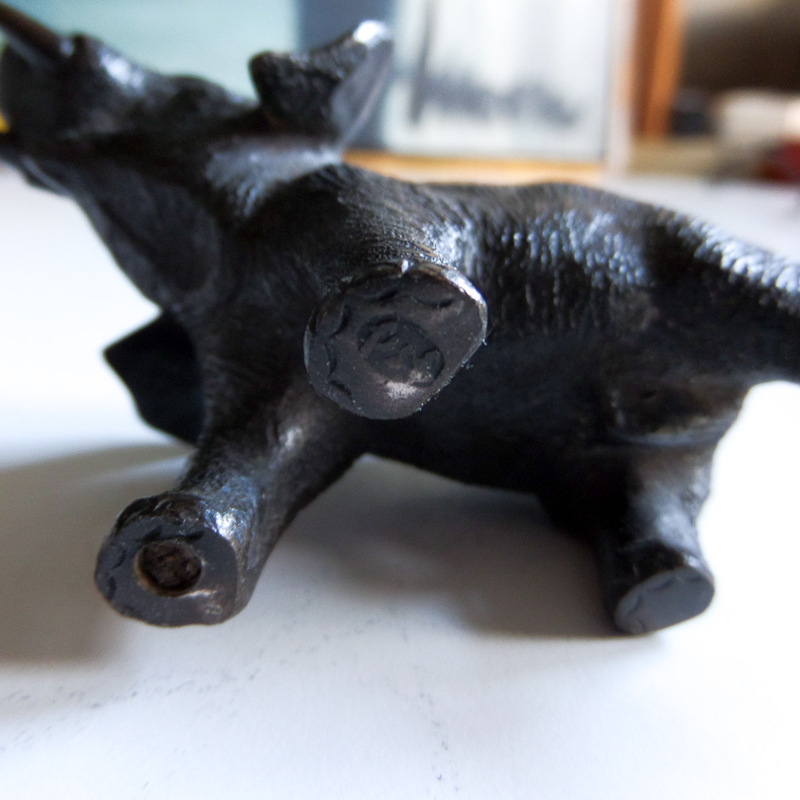 Subject:Re: Tiny Bronze Elephant Okimono - Mark ID or Date? Reads 'Seiya' (せいや) in hiragana, a maker's mark of the workshop of Genryusai Seiya in Tokyo. Date ca. 1890-1900. I've been searching (and searching) miniature bronze okimono, but haven't seen one quite this tiny. Do you think this was part of a group, or just secured to a wood platform on its own? Thanks again :) and have a great weekend! This indeed a very small object and could have been part of a larger group. 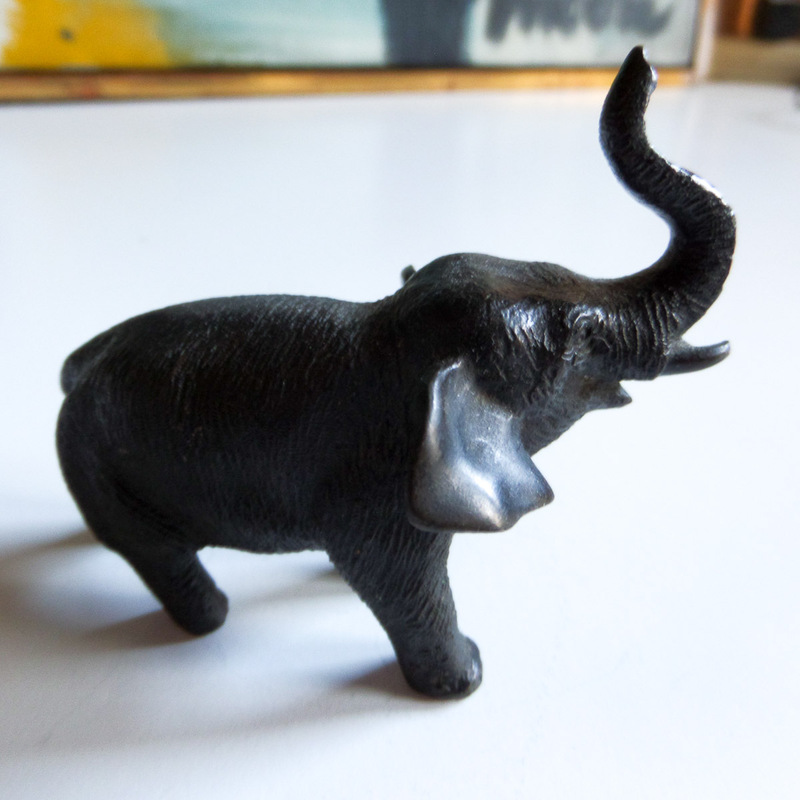 The Seiya workshop made elephants from small to large dimensions and occasionally oversized scale (exhibition pieces) and from poor or average quality to top-of-the-line quality.